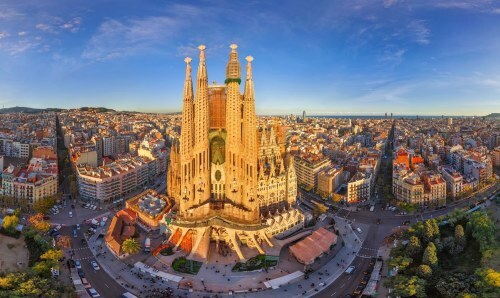 Air Transat has dropped the price of their non-stop flights from Toronto to Barcelona, Spain down to $503 CAD roundtrip including taxes. It's notable that they've done this on dates that are still 9 months away. 4. Click on 'Flight Details' (bottom left corner) and then choose a booking site to click through to. Clicking through to Expedia or Travelocity doesn't seem to work. Try clicking through to FlightHub. Airbnb is offering an incentive for new hosts in Toronto, $250 in free cash! toronto, yyz, flight deals, europe, western europe, air transat, southern europe, barcelona, spain and bcn. 4 Responses to "Toronto to Barcelona, Spain - $503 CAD roundtrip including taxes | non-stop flights, May 2017"
I think this deal has disappeared!! I've updated the instructions in Step 4, which may help. I'm still seeing them when clicking through from Skyscanner to FlightHub. Can't find the deal for $503... All I see is $680 + ? Same here. Not seeing any that verify below $680 now.